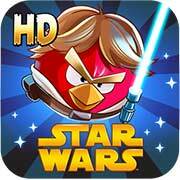 Free Direct Download Android Angry Birds Star Wars HD from revdl.com. JOIN THE ANGRY BIRDS IN THEIR BIGGEST ADVENTURE YET! HOURS AND HOURS OF ENGAGING GAMEPLAY – Explore more than 200 levels in iconic locations like Tatooine and the Pig Star. Can you dodge Imperial pigs, laser turrets, Tusken Raider pigs, and the dark side of the Force to get all three stars? SECRETS AND HIDDEN GOODIES – Can you unlock all the R2-D2 and C-3PO bonus levels?